Where Do You Need Mobile Office Trailers? 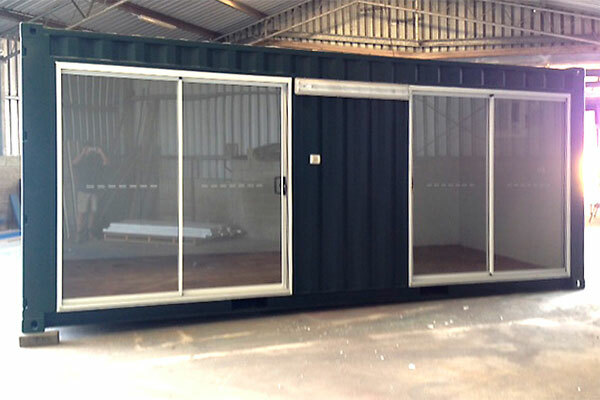 Used as one office space, a 20 foot mobile office container has 150 sq. ft. total. It can be equipped with multiple office desks or it can be used entirely for storage. In addition to upgraded finishes, built-in furniture such as desks, shelves and benches can be added to maximize the space and potential of a 20 foot mobile office container. These units also make great changing rooms or even sitting room for performers between scenes. 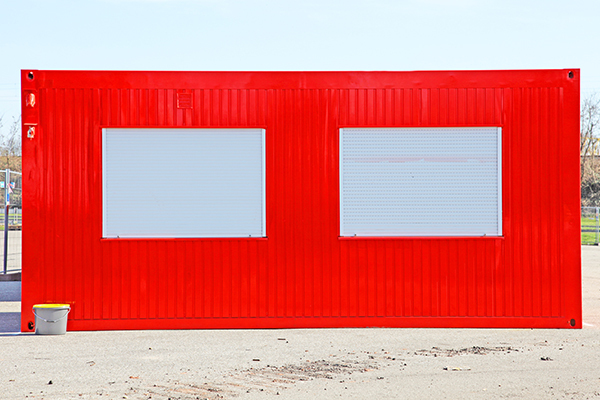 Used as an office and storage space, 20 ft office containers can be split in half to provide 75 square feet of office space in front with a door leading to the 75 square feet of storage space. Additionally, the storage space can include cargo doors for better access. This unit can be maximized with a wall built to your specifications if splitting it down the middle is not ideal. However much space is required, Aptera's mobile office professionals can ensure that you get the perfect blend to meet your needs. 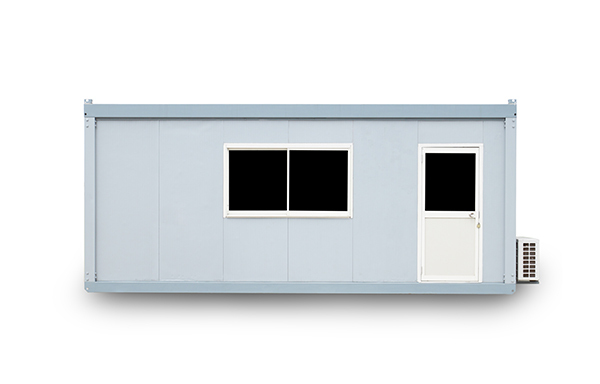 A 20 ft mobile office container is the ideal space for individuals who need to utilize a studio or have space to perform work, especially during inclement weather. Bring your work inside as these mobile offices are safe and secure and offer HVAC units to ensure maximum comfort. 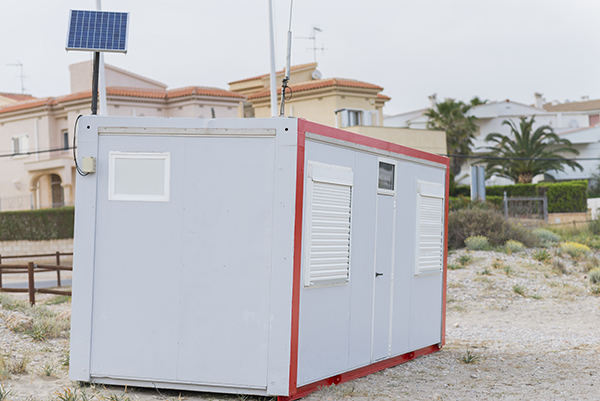 With all of these potential configurations available to either rent (or lease long term) or buy, 20 ft mobile office containers can be the workhorse on a construction site that helps you get stuff done. They fit anywhere � small job sites, large driveways, parking lots and more. Highly mobile � Easily move from job site to job site with a flatbed and no special equipment. 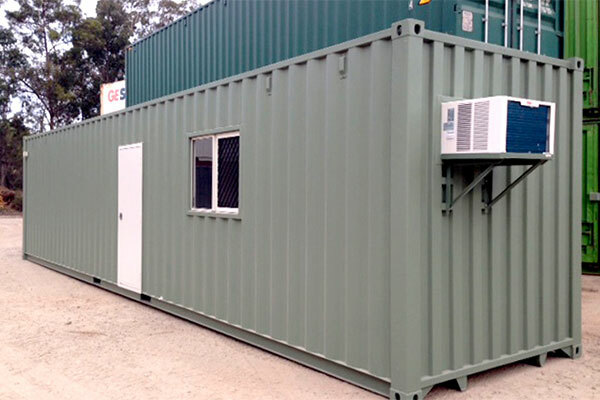 Highly customizable � Nearly all of the optional features of larger units are available in 20 ft. office containers as well. 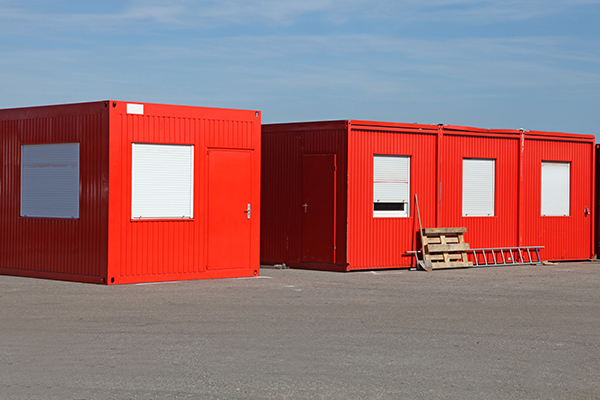 If you are looking for a space to spread out or need additional work space for your employees to layout blueprints, new or used office containers are an ideal solution. 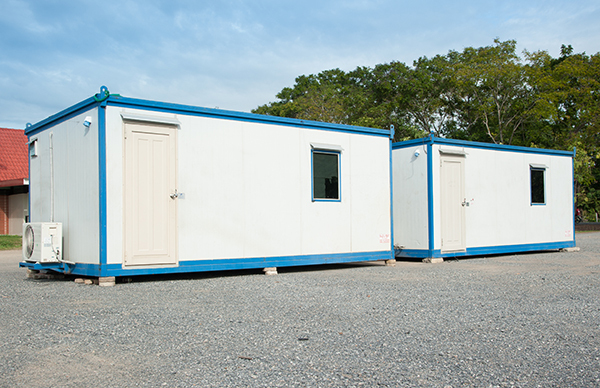 Contact Aptera today to learn how you can save on a 20 foot office container rental or purchase today.